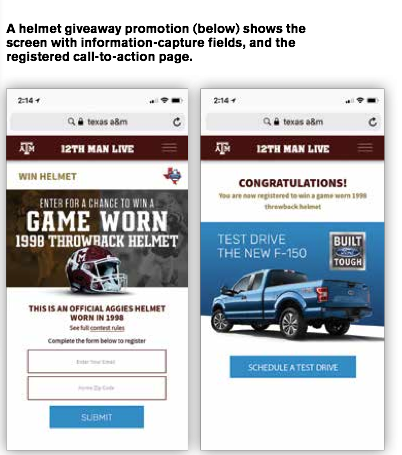 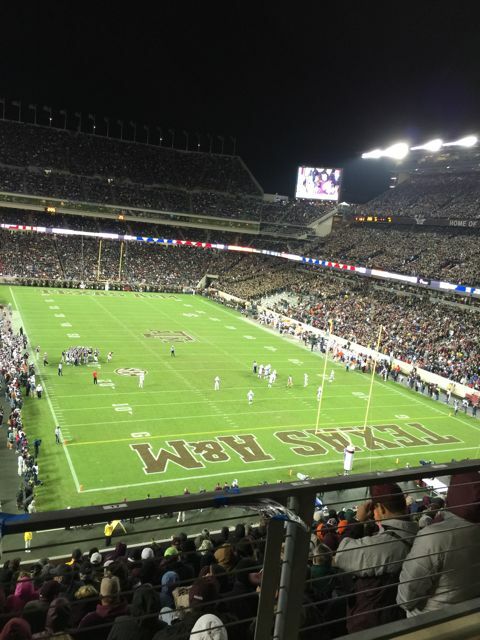 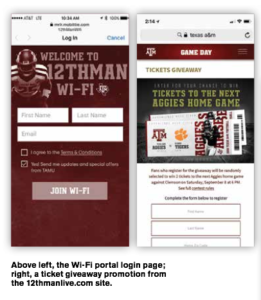 The wireless networks at Texas A&M’s Kyle Field continue to prove their heralded capability, as the school reported seeing 8.2 total terabytes of wireless traffic on its stadium Wi-Fi and DAS networks during the Aggies’ exciting 45-38 double-overtime victory over Tennessee on Oct. 8. 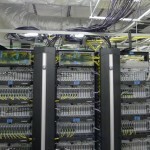 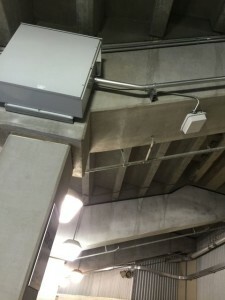 Of that number, approximately 4.4 TB was recorded on the stadium’s Wi-Fi network, with another 3.8 TB recorded on the cellular DAS, which carries traffic from AT&T and Verizon Wireless. 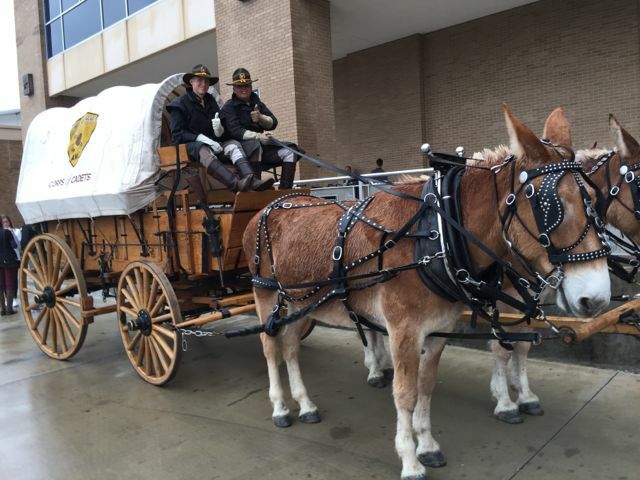 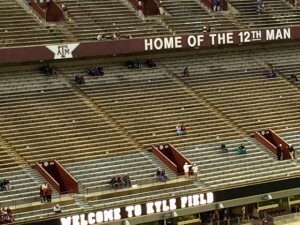 Perhaps even more impressive than the total tonnage numbers are the number of unique connections reported during the four-hour span during which Texas A&M recorded statistics: According to a press release from A&M, just more than 52,000 fans connected to the Wi-Fi network at some point, 49 percent out of a total of 106,248 attending the Oct. 8 game. 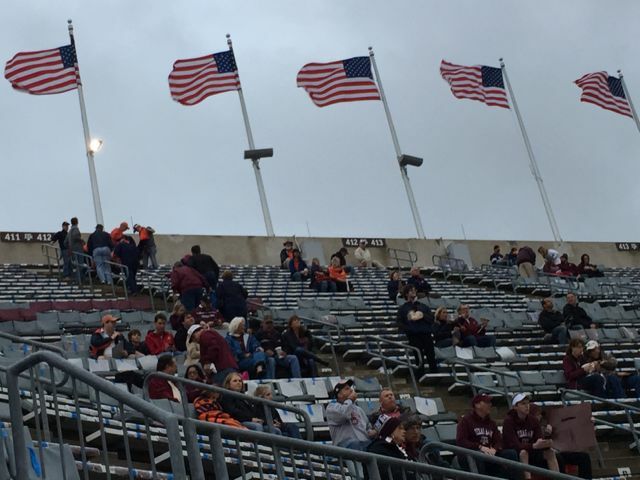 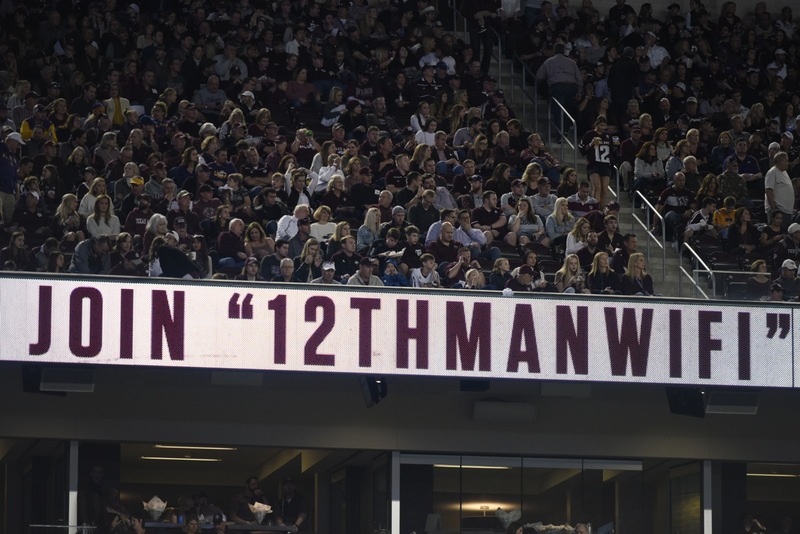 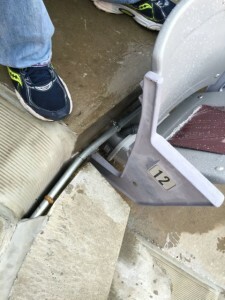 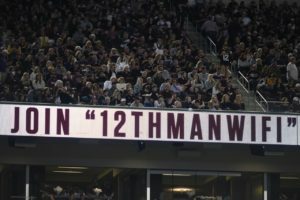 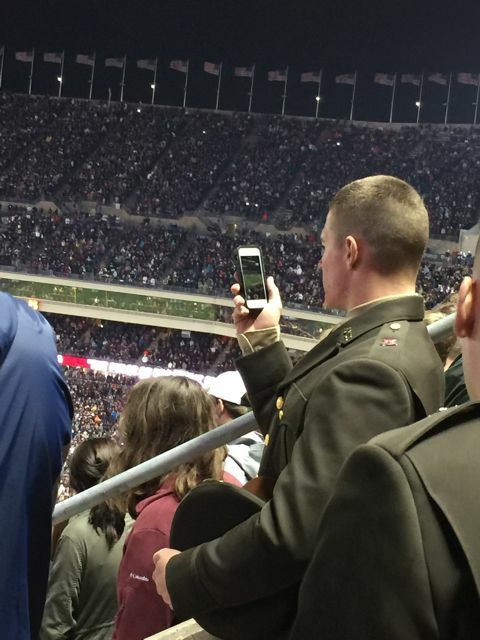 The Wi-Fi network also saw nearly 32,000 fans connected to the Wi-Fi network at the same time, with both numbers surpassing Kyle Field’s previous high totals for both metrics. 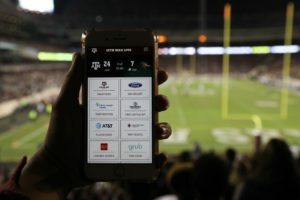 Last year, the new Wi-Fi network at Kyle Field saw 5.7 TB of Wi-Fi use for a home game against Alabama, with 37,823 unique clients recorded during pre-game and game time, as well as a 26,318 peak concurrent user count. 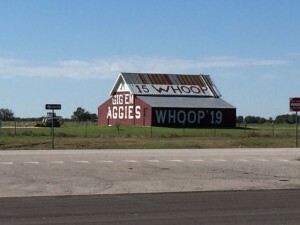 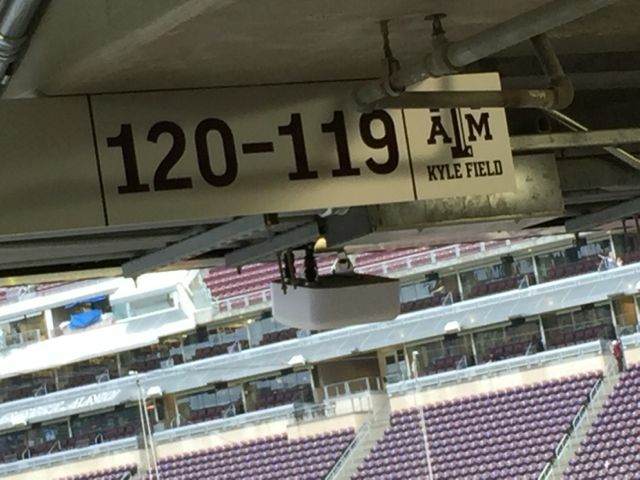 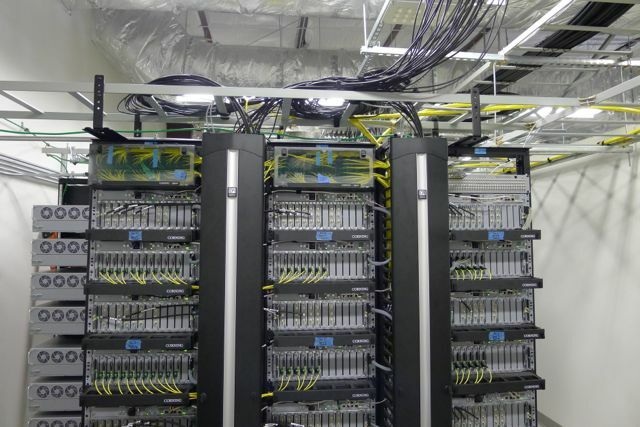 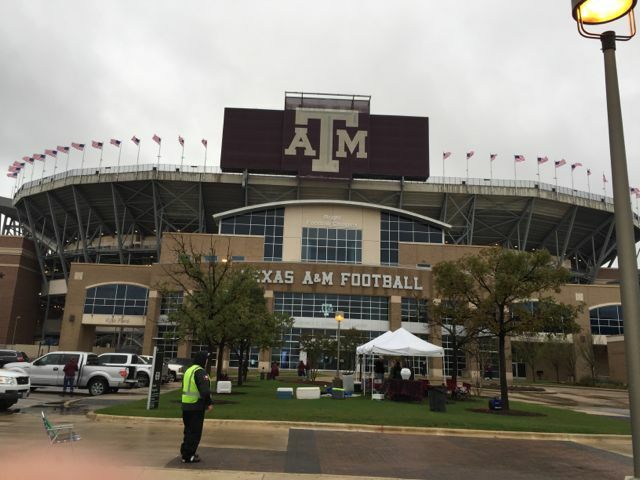 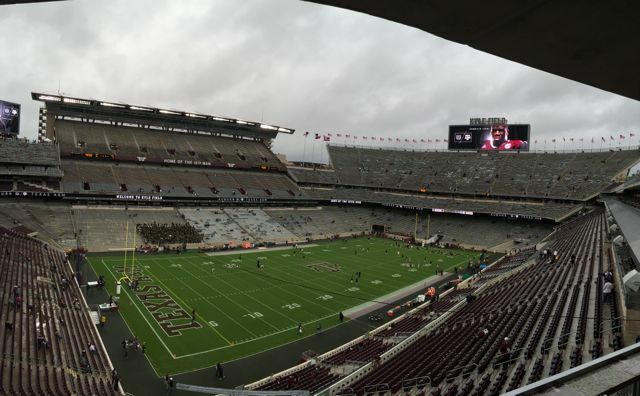 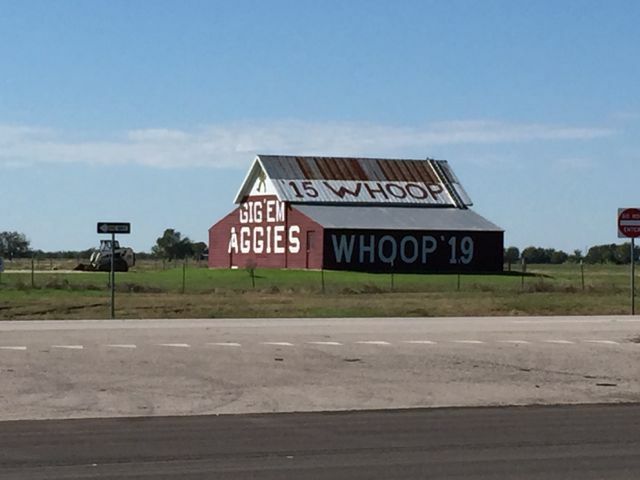 We are still hoping to circle back with A&M folks to hear more about the second year of Kyle Field’s networks, but sources close to the operation said that so far, neither the Wi-Fi network nor the DAS network has needed any system upgrades since the networks went live last year. 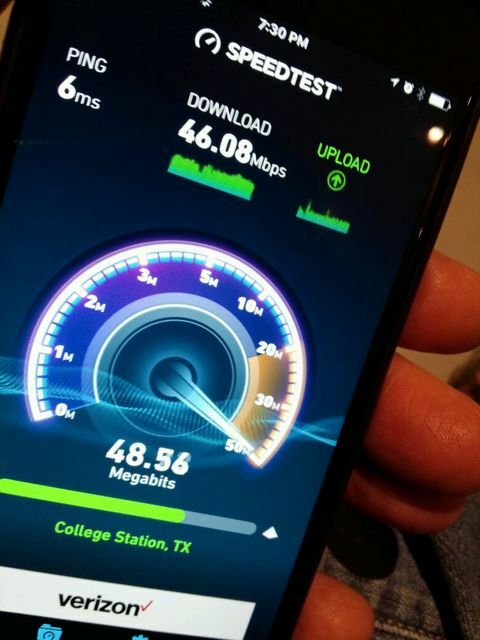 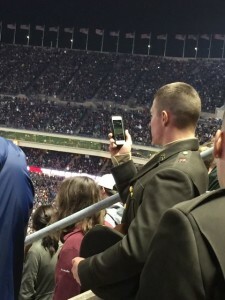 On the DAS side of things, AT&T reported that it saw 2.2 TB of DAS traffic on its Kyle Field networks for Oct. 8; though it’s not confirmed by Verizon, A&M reported a total of 3.8 TB of DAS usage, and since Sprint and T-Mobile are not yet on the DAS, it seems safe to say there was 1.6 TB of Verizon traffic on the DAS Oct. 8. 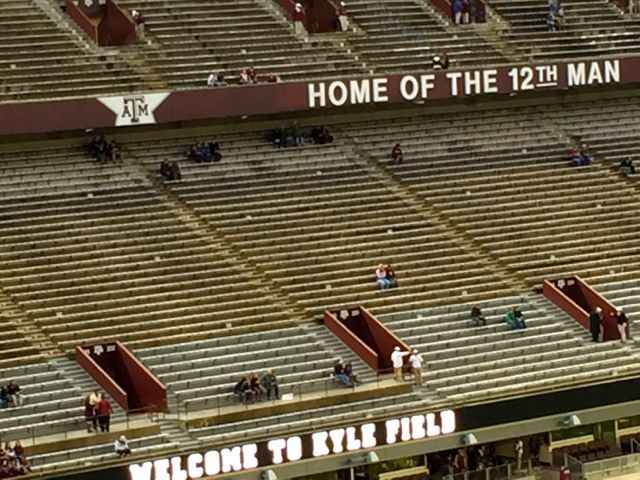 AT&T and Verizon both paid $5 million each to help build the networks at Kyle Field, which had a total price tag of just north of $20 million according to school officials. With the first few football games of the season now under our belts, stats from stadium wireless networks are filtering in with a refrain we’ve heard before: Fan use of wireless data is still growing, with no top reached yet. 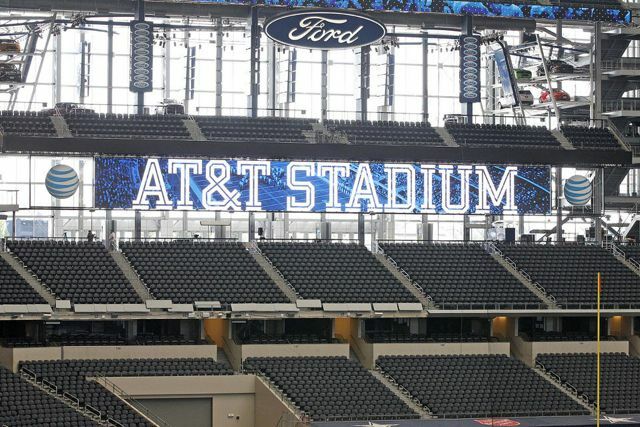 Thanks to our friends at AT&T we have the first set of cellular network stats in hand, which show a report of 2.273 terabytes of data used on the AT&T network at AT&T Stadium for the Cowboys’ home opener, a 20-19 loss to the New York Giants on Sept. 11. That same weekend the AT&T network at Kyle Field in College Station, Texas, home of the Texas A&M Aggies, saw 1.855 TB of data during Texas A&M’s home opener against UCLA, a 31-24 overtime win over the Bruins. 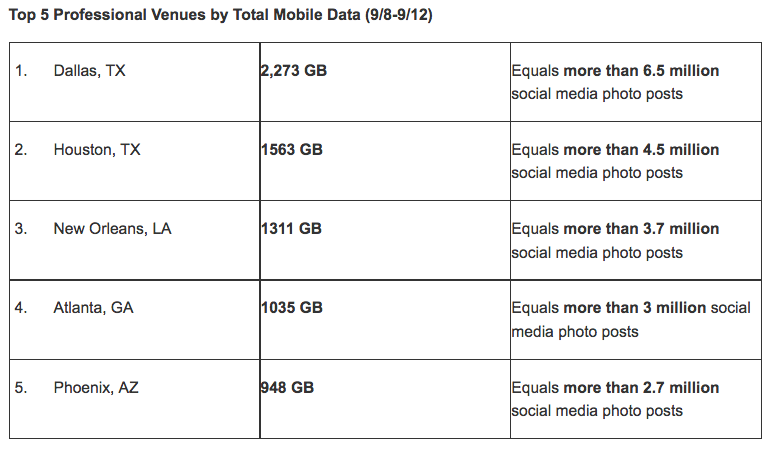 Remember these stats are for AT&T traffic only, and only for the AT&T network on the DAS installations in and around the stadiums. 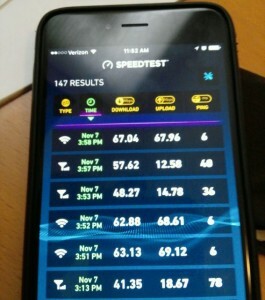 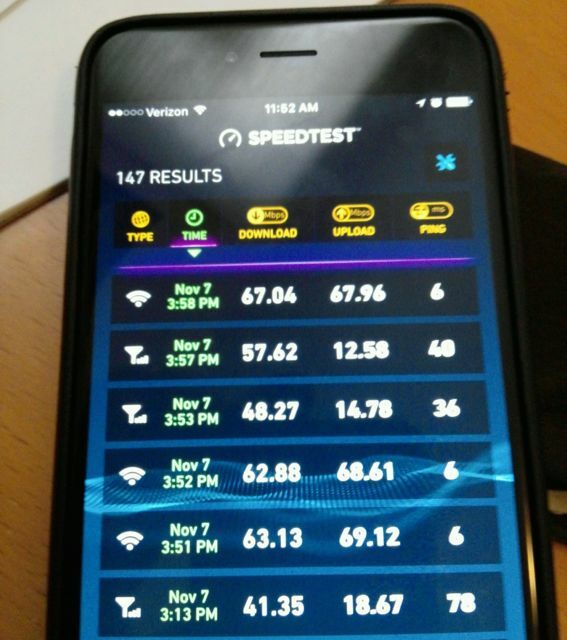 Any other wireless carriers out there who want to send us statistics, please do so… as well as team Wi-Fi network totals. 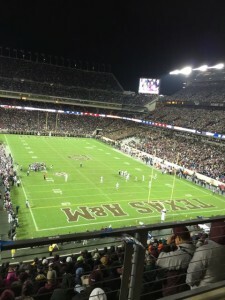 Look for more reports soon! 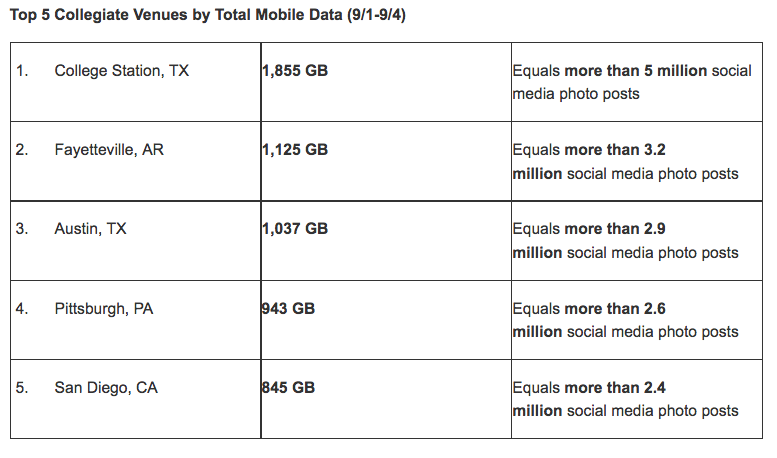 AT&T graphics below on the first week results. We figure you can figure out which stadiums they’re talking about by the town locations.